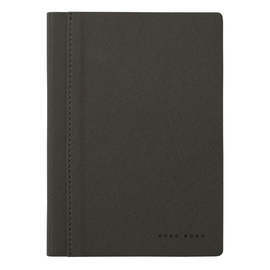 Premium quality leather notebook covers from the Hugo Boss 'Prime' range, providing distinctive covers for A6 and A7 size notebooks. 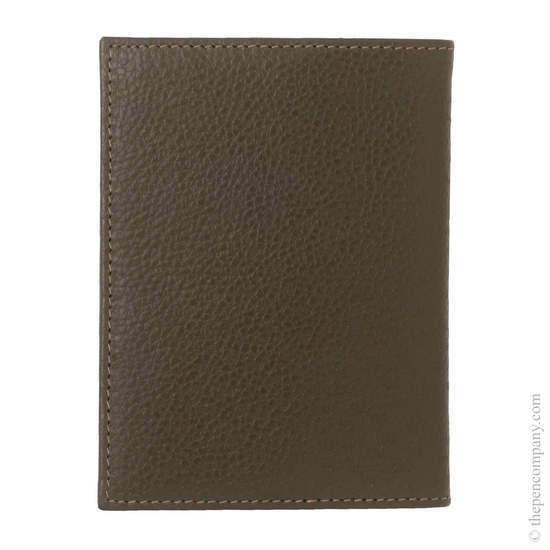 'Camel' coloured leather is a dusky brown with a grain-like texture. 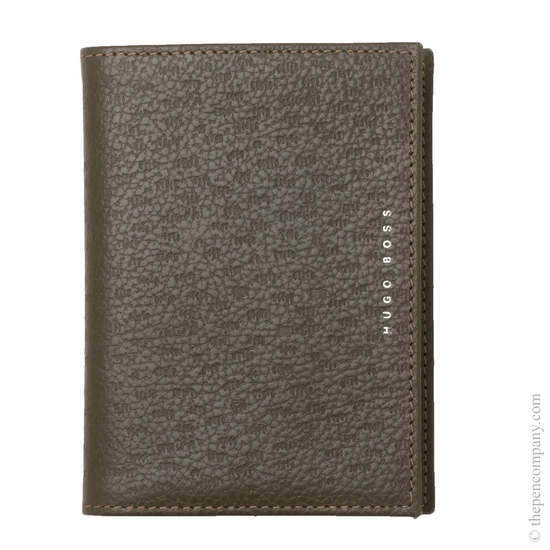 The front cover features additional texturing and bears the Hugo Boss logo in silver. 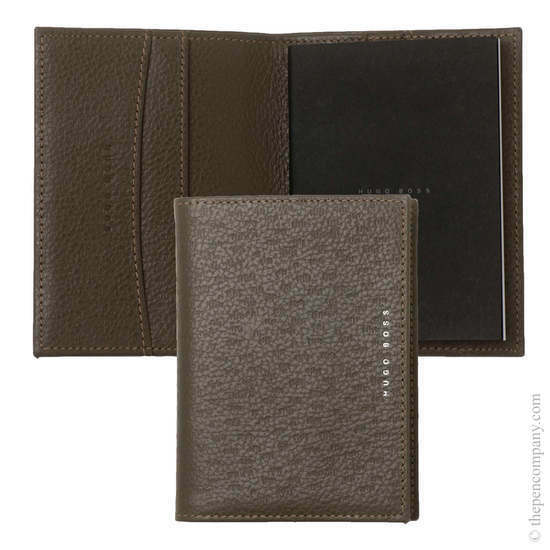 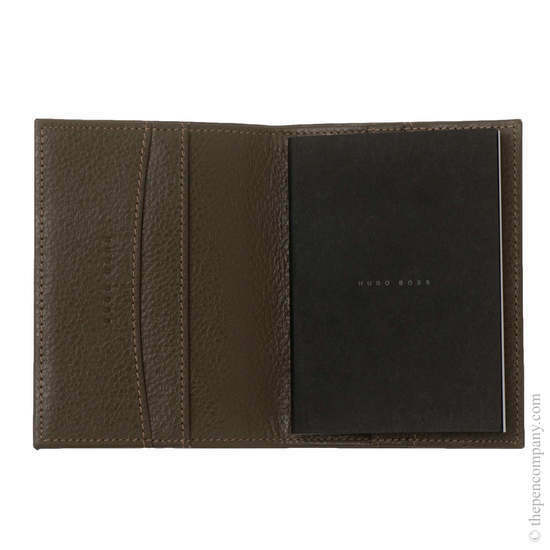 The brown leather is enhanced by contrasting stitching outlining the borders of the cover and its dividers. 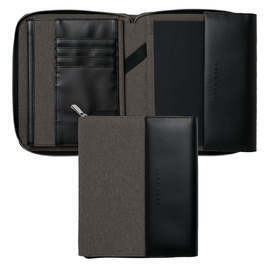 Inside the cover is the notebook on the right-hand side and two dividers suitable for business cards and other documents on the left. 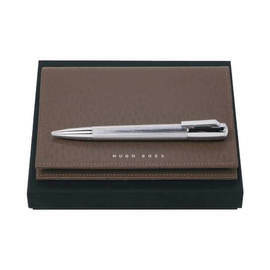 Presented in a matt black Hugo Boss gift box.